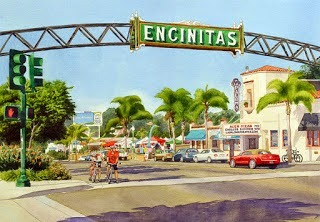 COME JOIN JUMP-N-RIDE THIS WEEKEND AT THE ENCINITAS STREET FAIR!! 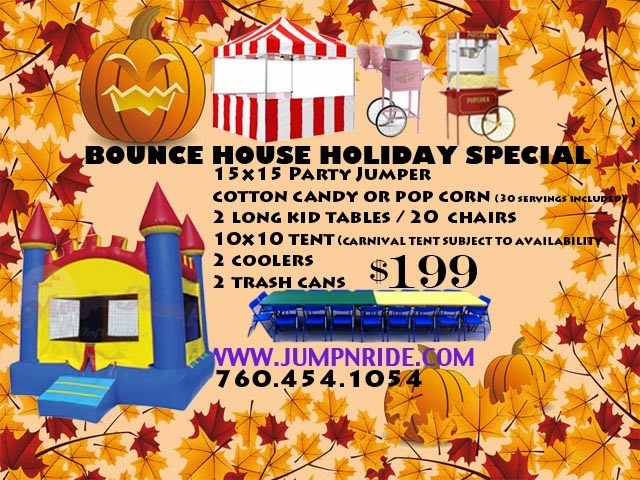 LOOK FOR JUMP-N-RIDE HOSTING THE KID'S ZONE!!!! 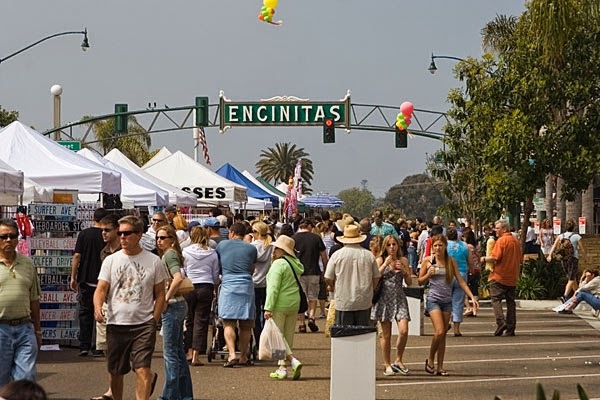 Did you know that in San Diego County it is not uncommon for our fall and winter months to have more perfect sunny days than in our summer months!!! So live it up San Diego it's summer year around!! 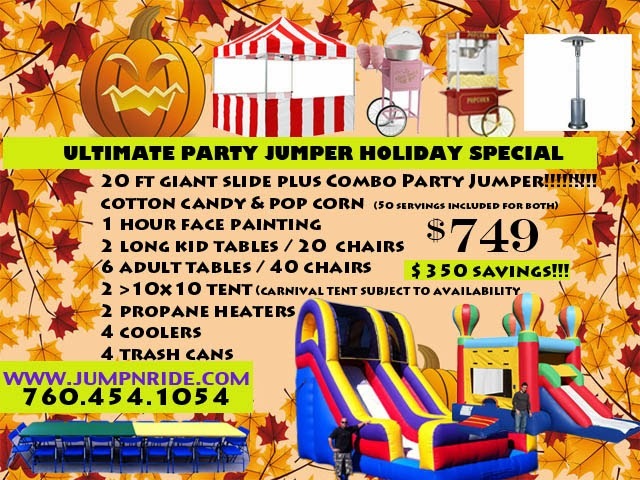 Book one of our fall/winter Holiday party packages complete with a jumpy house or bounce house slide combo,a giant inflatable slide, or an obstacle course!! How about some cotton candy or a pop corn machine? Need chairs, tables, tents, or an outdoor movie screen? You name it we've got it!! 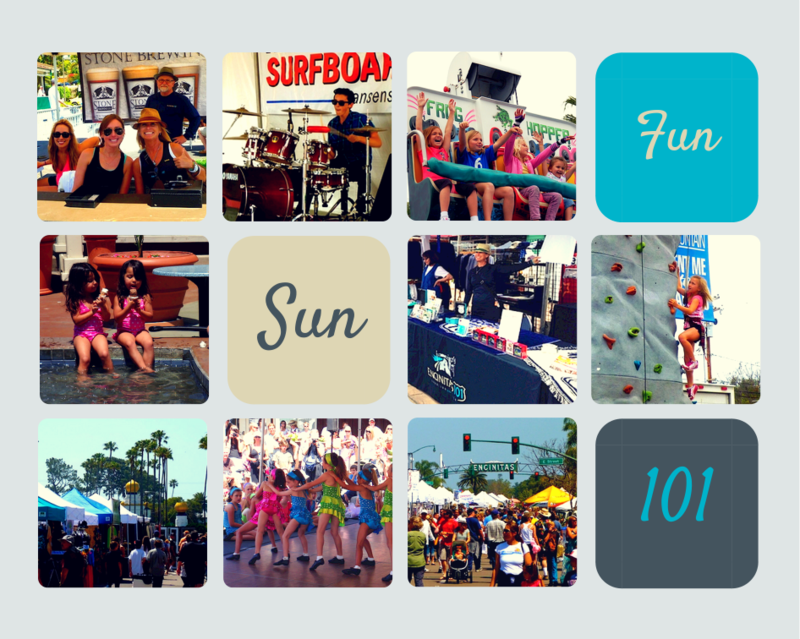 Booking a birthday party or an event and live in Encinitas, Carlsbad, Olivenhain, Rancho Santa fe, Solana beach, or Del Mar? Make sure and ask us about our local delivery fee discounts! NO ONE HAS A WATER SLIDE THIS COOL WE GUARANTEE IT!!!!!!! 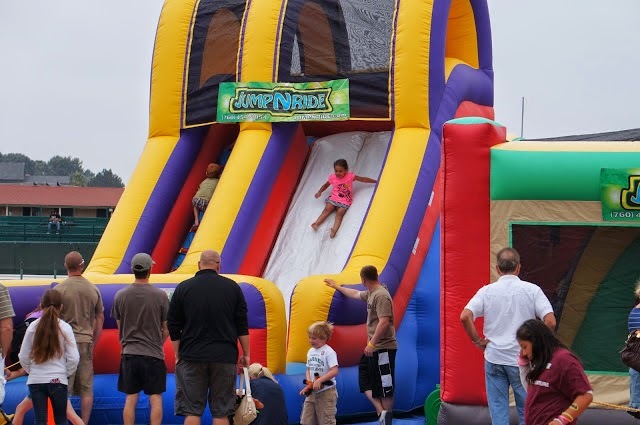 Brand New Giant Water Slide in Action! 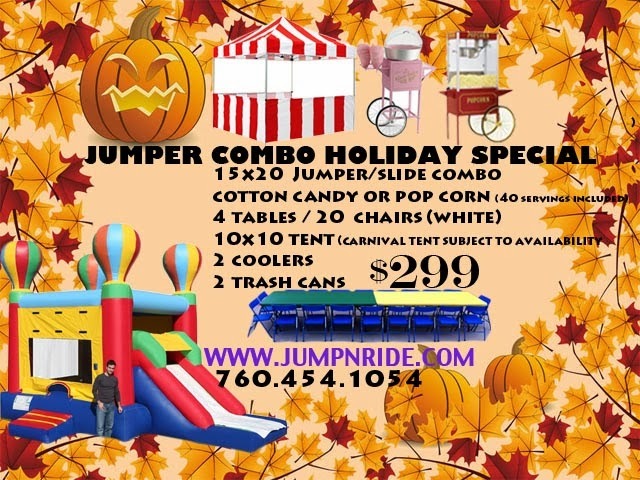 Call Jump-N-Ride today to reserve a water slide, bounce house, or jumpy!! COMBINE AND SAVE!!!! Click Here!